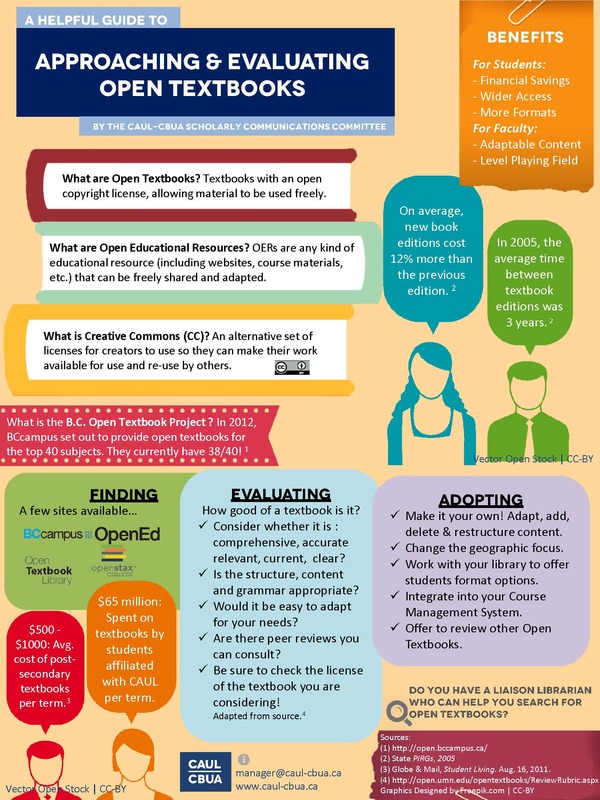 Open Educational Resources (OERs), are educational materials which are licensed in ways that provide permissions for individuals and institutions to reuse, adapt and modify the materials for their own use. OERs might include textbooks or entire courses as well as streaming videos, exams, software, and any other materials or techniques supporting learning. Has it been peer reviewed? How has it been licensed? Are there clear instructions on how to use the resource? Can it be used on multiple devices? Can it be used on different web browsers? Your Liaison Librarian can help you with some of these questions. Once you have chosen an open education resource you should check your links regularly to see that it is still available. ​Find more at the OEL Toolkit, a joint project of Swinburne University and University of Tasmania.